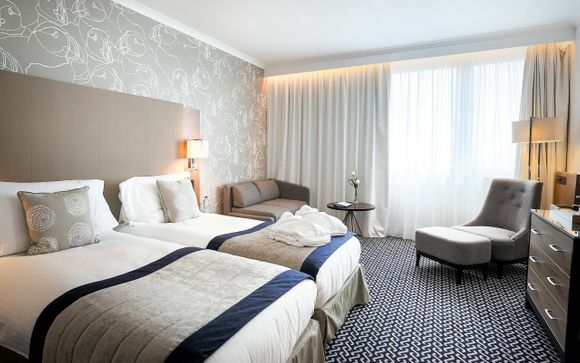 Radisson Blu Waterfront hotel boasts high-end rooms, a health club and waterfront restaurant and terrace. This contemporary hotel overlooks Elizabeth Marina, situated directly on the waterfront, with views of the beautiful coastline, sparkling sea and sandy beaches. Our members will stay in a Business Class Sea View Room or a Superior Sea View Room with one included 3-course dinner and included car hire! 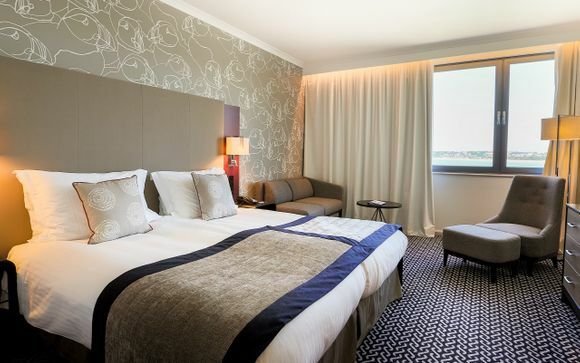 Perfect for a weekend getaway, the Radisson Blu in Jersey is ideally located in the heart of St Helier Marina, offering visitors direct access to the promenade and outstanding views of the surrounding waterfront. Not only does the hotel overlook some of the island's most breathtaking sights, but guests can also walk straight onto the stunning St Aubins Bay. The boutique shopping, bars and restaurants of St Helier, the island's capital, are only a few minutes' walk too. Jersey offers a taste of the continent with the familiarity of home! 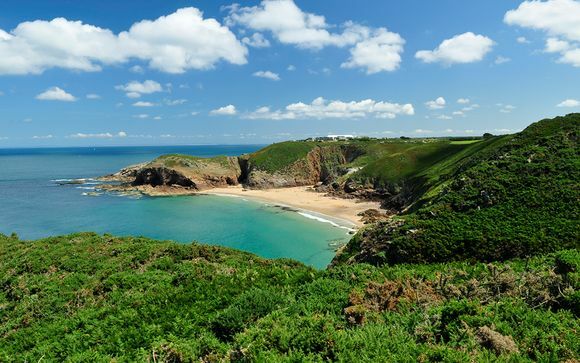 The most southerly of the Channel Islands has one of the best sunshine records in the British Isles, over 350 miles of roads and country lanes with over 20 beaches and coves to explore and spectacular scenery which takes you from sweeping bays in the south to dramatic cliffs in the north. This is one of the island's most sought-after hotels with its excellent marina location. 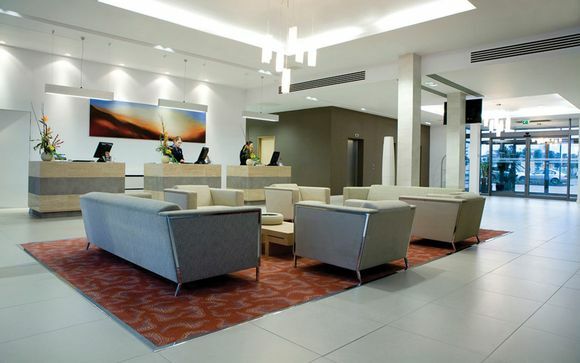 The modern and stylish design is evident throughout, and this combined with the excellent facilities and enviable location makes the Radisson a firm favourite. At the Waterfront Restaurant & Terrace, guests can enjoy the spectacular scenery as they dine on fantastically fresh seafood, and the first-rate health club and full-service beauty salon will help you relax even more. This offer is based on a Business Class Sea View Room (27m2) or Superior Sea View Room (27m2). Employing a stylish mix of fabrics and furnishings, these cosy rooms create a casual yet energetic ambience. 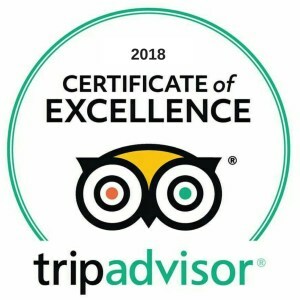 Enjoy either a double or twin beds as well as modern amenities including free Wi-Fi, coffee and tea provisions and individual climate control. Some rooms may also provide a view of the sea. For a little extra space, choose the Superior Sea View Room, which can be furnished with either twin, queen or king beds. Free Wi-Fi is available to keep you connected, as well as a range of tea and coffee refreshments, an in-room safe, professional hairdryer, magnifying mirror, and 'sleep well' spray. 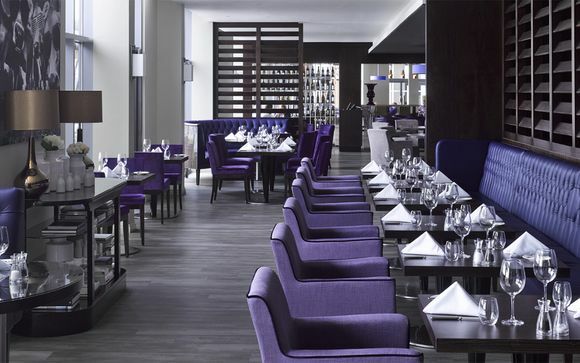 True to the sleek, contemporary design that flows throughout this Jersey hotel, this bar-restaurant exudes elegance, accentuated by modern touches and top-quality furnishings. Get to enjoy a delectable menu of fresh food, incorporating local ingredients where possible. The restaurant also includes a refined list of wines, champagnes and aperitif-style drinks. Start your day with the renowned breakfast buffet which features an extensive international array. 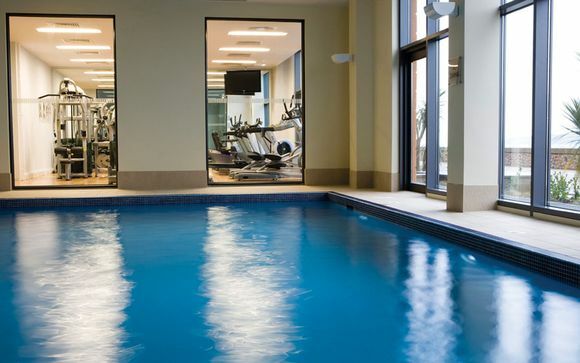 This place affords guests exclusive facilities to promote fitness, wellness and relaxation. The hotel's personable staff are superbly trained and strive to ensure all experiences are safe and enjoyable. The Visage Salon encourages guests to unwind in one of the hotel's treatment rooms. With a staff of highly qualified therapists providing expert advice, this hotel guarantees guests the optimum salon experience. Transfers: No transfers are included. Car Hire: Car hire is included. Note: There are compulsory charges of £10.00 per day CDW and £2.00 per day Jersey tax to be paid at the point of hire. It is the general consensus that irrespective of any changes to flights to the EU after 29th March 2019, the Channel Islands will remain unaffected and travel to these destinations will not be restricted with any new regulations. Please note you cannot be guaranteed a specific make of car within a certain group. The minimum age for driving a hire car in The UK is 21 and drivers must have held a full driving licence for a least 1 year.